Character-defining knives are a theme in the FMV Wing Commander games. We've learned about Cobra's Marto-Brewer Explora from Wing Commander III and now it's time to take a look at Seether's significantly more distinct knife from Wing Commander IV. 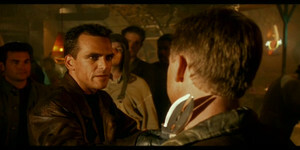 Depending on your choices, Seether can use his knife twice: during the introduction he will threaten Blair with it if you choose to rescue the man he is roughing up and then he uses it to execute Captain Paulsen after the Lexington is destroyed or crippled. 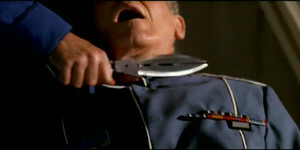 The close-up shot of the knife slitting the Captain's throat was censored in the German release of the game. 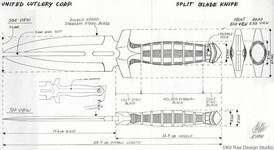 Seether's blade is called the Double Shadow. 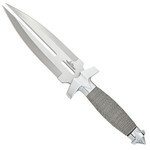 The Double Shadow is a 5 1/2" stainless steel split blade "fantasy knife." 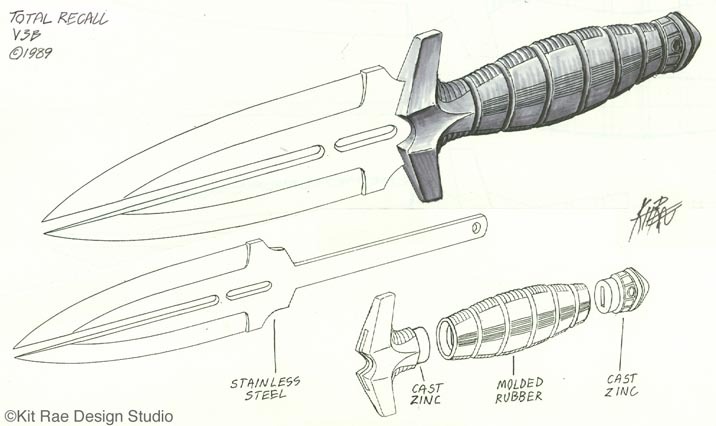 It was released in 1991 and created by famed fantasy knife designer Gil Hibben. Seether's knife was almost MORE distinct: instead of a fantasy knife, the script calls for a futuristic one: "a mean looking instrument known as a laser-blade (a curved handle with a lethal thread of light that pulses from one end of the handle to the other)..." This detail was carried over into the Baen books novelization, confusing readers familiar with the game. 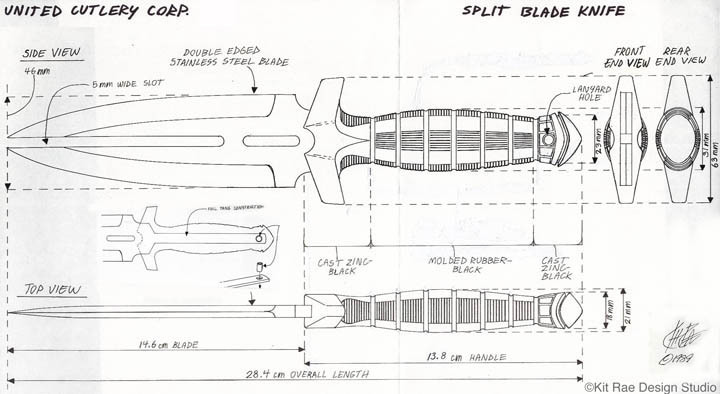 The Double Shadow was originally concepted by Kit Rae for (but not used in) the movie Total Recall; you can read a very detailed first person account of its creation here.